What Australian state is Kosciuszko National Park located in? Park Trek's walking holiday to the Snowy Mountains gives you the opportunity to escape and explore the incredible Alpine environment with like-minded travellers. This competition is for Australian residents only and expires 23/09/18. Prize must be redeemed within 12 months of the winner being notified. Winner can choose tour departures during December 2018 and January 2019. Flight carrier and accommodation will be at the discretion of Park Trek. Prize cannot be redeemed for cash. 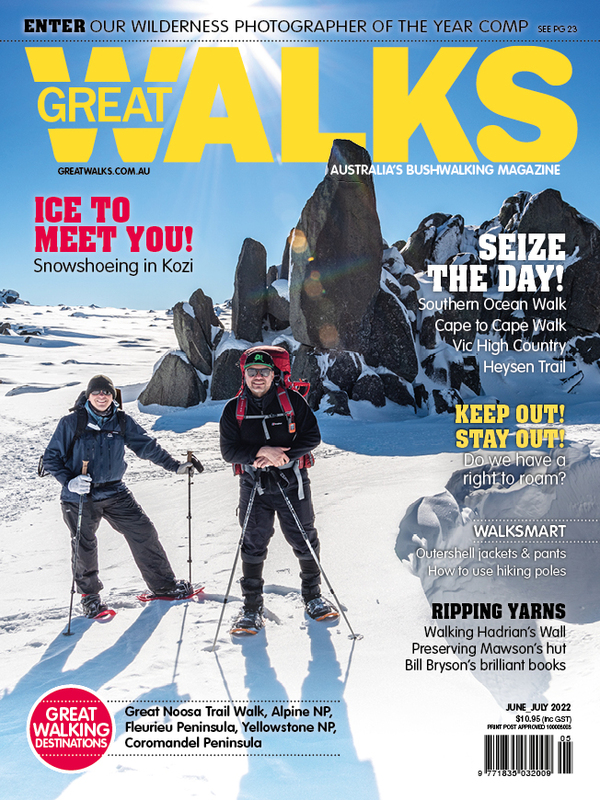 Winner will be contacted by Great Walks magazine.